Javdekar, meanwhile, maintained that the local body verdict in Maharashtra would also reflect on the outcome of the five state elections. NEW DELHI: Hailing the impressive win in the local body polls in Maharashtra, the BJP on Thursday claimed that the verdict clearly indicated endorsement of the November 8 decision on demonetisation, while at the same time stating that “the Congress mukt (free) Bharat” is evident across the country. “Maharashtra has shown that the people have endorsed the decision on demonetization. The poor people in the country have decisively left the Congress after having been taken for a ride for a long time. After the BJP bagged 10 times more seats in the local body polls in Odisha, the party has trebled its strength in Maharashtra. 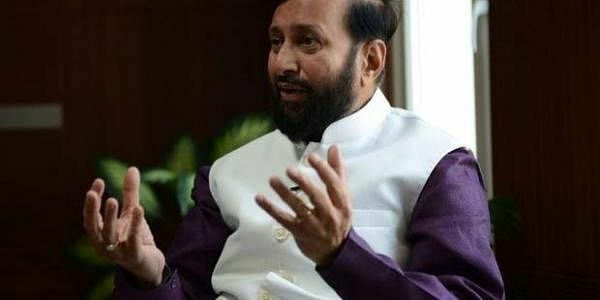 The Congress, NCP and MNS have been decimated,” said Union Minister Prakash Javdekar, while speaking to reporters at the BJP headquarter. Seeking to build up the momentum in Uttar Pradesh, Union Finance Minister Arun Jaitley claimed that many within the Samajwadi Party are surprised at the decision of the chief minister to spare 103 seats for the Congress in the state. “Congress is not even a main contender in Tamil Nadu, Andhra West Bengal and UP. The party has been reduced to just the status of a tail-ender,” quipped Jaitely. Javdekar, meanwhile, maintained that the local body verdict in Maharashtra would also reflect on the outcome of the five state elections. "The Garib Kalyan agenda (pro-poor plank) of the Modi government has been supported by the people. The poor, who used to be with the Congress, is now with us. Maharashtra verdict has shown that all sections of society are voting for the BJP. The results of UP, Manipur, Goa and Uttarakhand state polls will be on the similar lines. Even Punjab will surprise," added Javdekar. The Union Minister stated that the Maharashtra verdict just after Odisha signals clearly the realisation of “Congress-mukt Bharat”.